I almost didn't shoot at all. 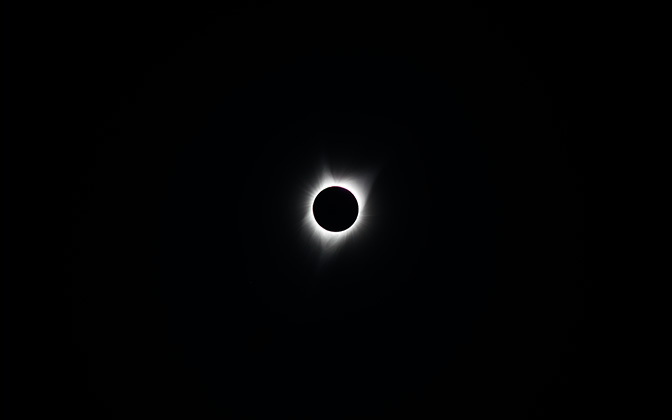 I didn't have solar filters, and didn't want to risk missing anything, but I decided to pop off a couple shots during totality while viewing the eclipse from a friend's property in Madras, Oregon. It was one of the most amazing two minutes of my life. An experience I will hold close forever. Shot with a Sony A7rii and a Canon 70-200mm f4 IS. Send a Private Message to the Artist of "Totality"